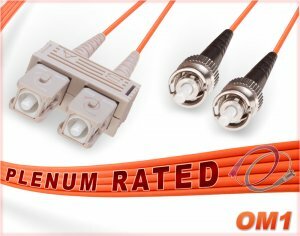 OM1 SC/ST Plenum 62.5/125 Multimode Duplex Fiber Optic Patch Cables. 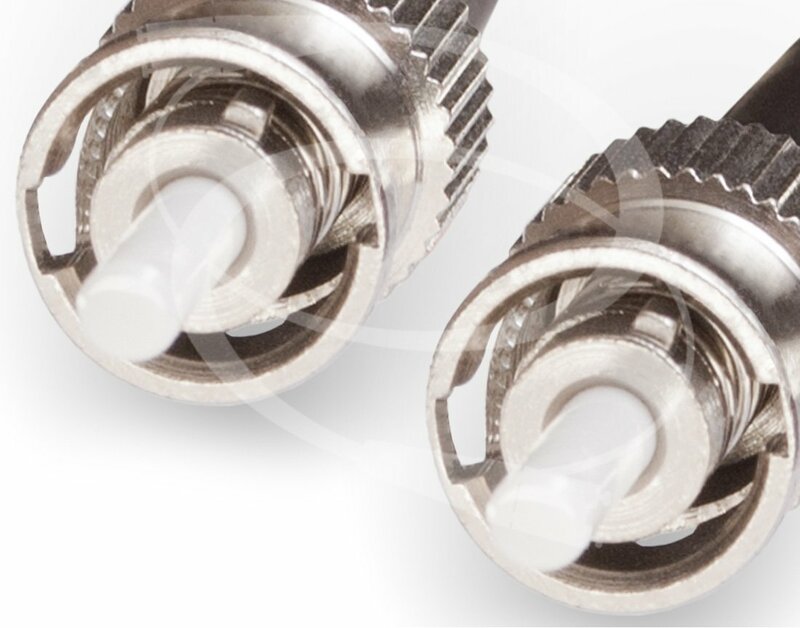 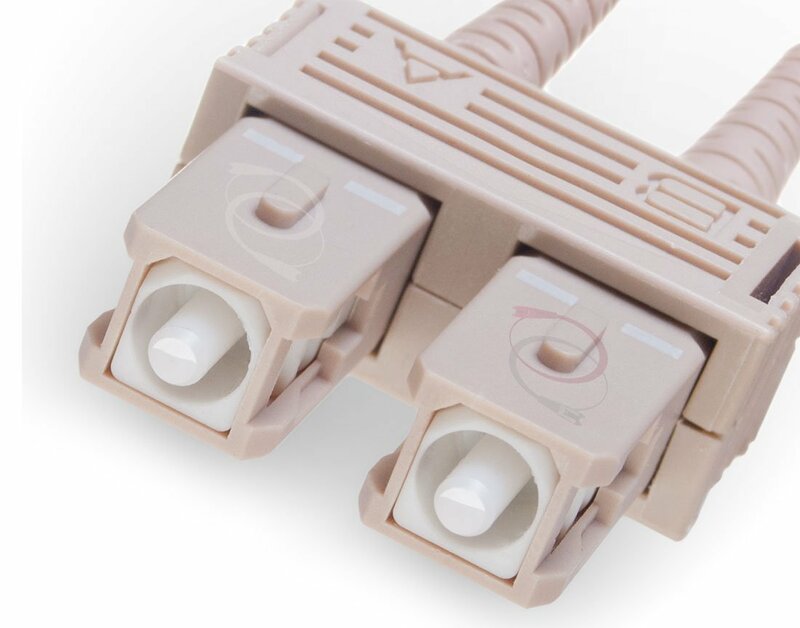 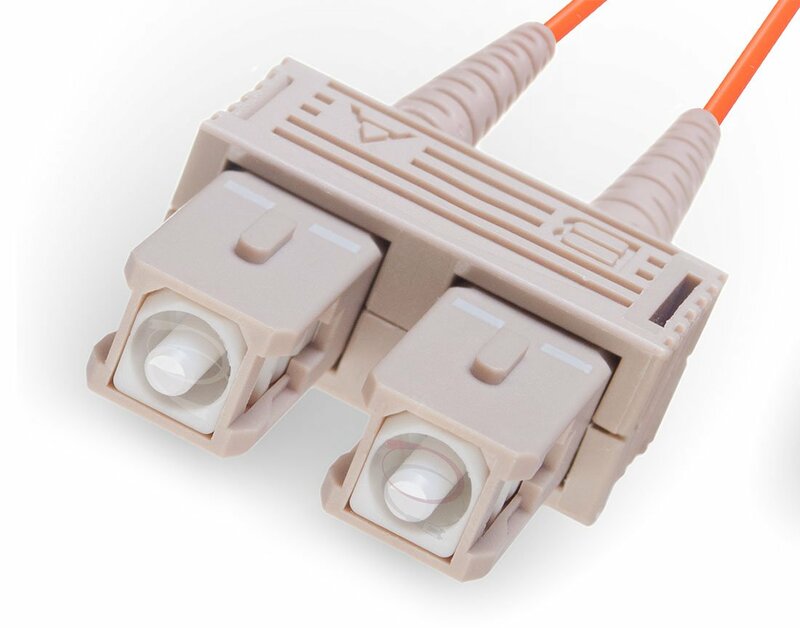 OFNP multimode fiber (mmf) optical assembly with self-extinguishing plenum rated jacket, Corning 62.5/125um fiber core and terminated with small form factor 2.5mm ceramic ferrule SC connectors and 2.5mm stainless steel ferrule ST connectors. 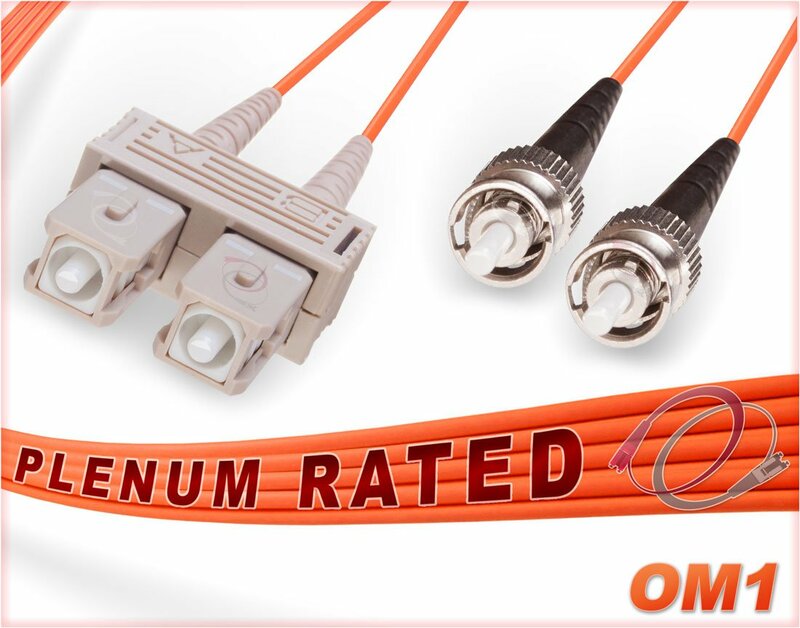 OM1 SC to ST Plenum 62.5/125 Multimode Duplex OFNP Fiber Optic Cable. 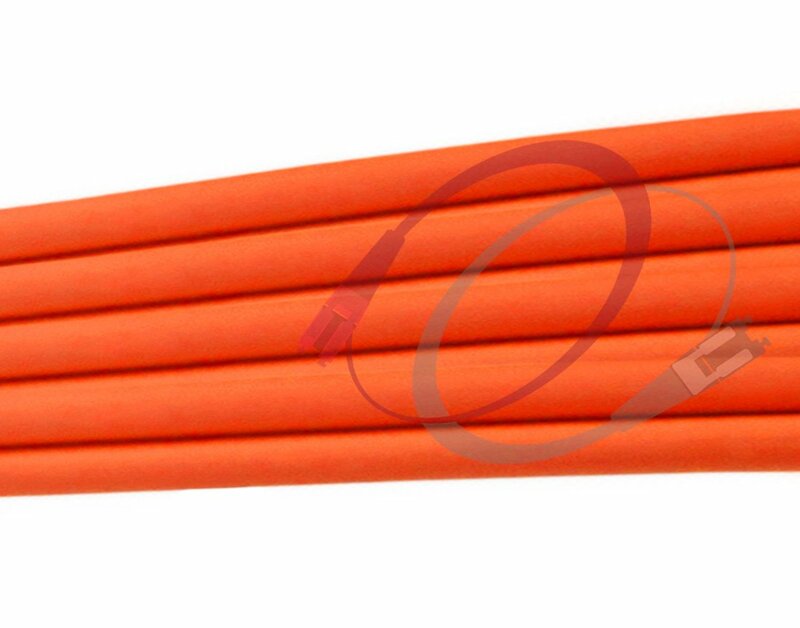 OFNP (Optical Fiber Non-conductive Plenum) fire rated assemblies with orange, self-extinguishing fire retardant jacket, Corning optical fiber glass core and small form factor (SFF) 2.5mm ceramic ferrule SC connectors and 2.5mm stainless steel ferrule ST connectors. 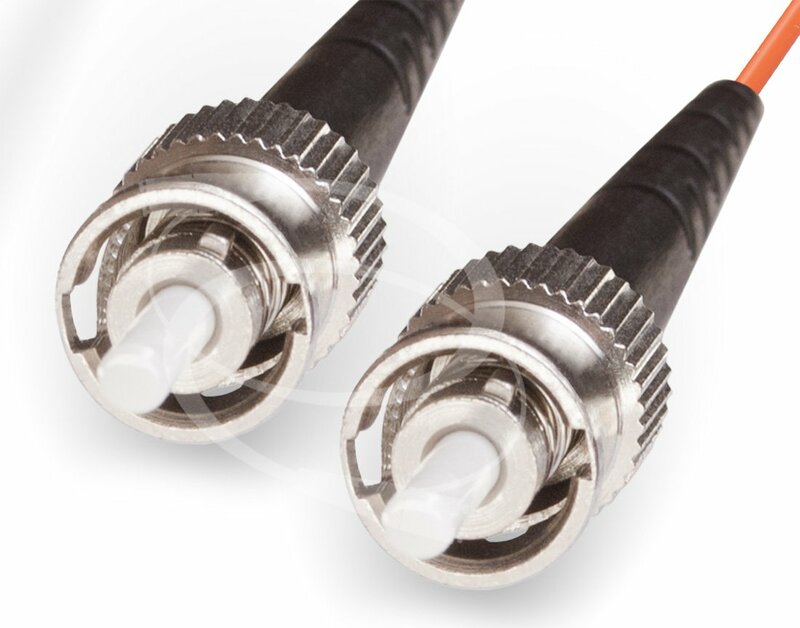 Built for performance and designed to last in rough, high density cable environments, most commonly used for schools, healthcare facilities and government buildings. 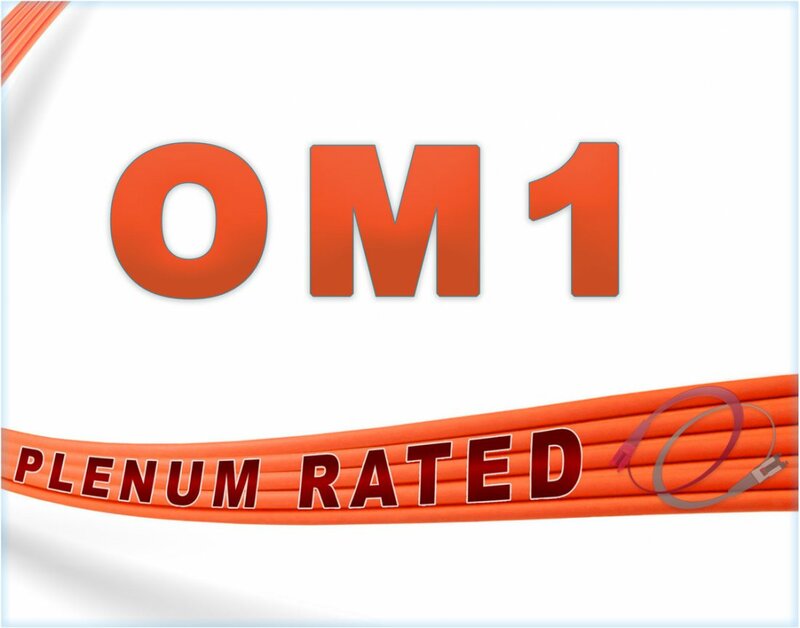 Lengths available in our online catalog for Om1 Sc st plenum multimode duplex cables typically include stock of: 0.5 Meter, 1 Meter, 2 Meter, 3 Meter, 4 Meter, 5 Meter, 6 Meter, 7 Meter, 8 Meter, 9 Meter, 10 Meter, 12 Meter, 15 Meter, 20 Meter, 25 Meter, 30 Meter, 35 Meter, 40 Meter, 45 Meter, 50 Meter, 55 Meter, 60 Meter, 65 Meter, 70 Meter, 75 Meter, 80 Meter, 85 Meter, 90 Meter, 95 Meter, 100 Meter, 125 Meter, 150 Meter, 200 Meter, 250 Meter, and 300 Meter.